Welcome to Board Watch for WCCUSD’s March 1st Meeting! At the February 1st Board of Education meeting, our school board reviewed the initial bargaining proposals between the district and the West Contra Costa Administrators Association (WCCAA) and the School Supervisors Association (SSA). Our Board also discussed and approved new Middle School textbooks for the coming 2017-2018 school year. Our Board was presented with initial bargaining proposals for negotiations between our school district and the West Contra Costa Administrators Association (WCCAA) and School Supervisors Association (SSA Local 21). These initial proposals were required to be heard as information items; the proposals center around staff salary rates and work schedules. There were no comments or questions from the Board. At the next Board meeting, these items will come back for public hearing and probable adoption by our board members. Click here to view the joint initial reopener proposal between WCCUSD & WCCAA. Click here to view the initial bargaining proposal from SSA Local 21 to WCCUSD. Click here to view the initial bargaining proposal from WCCUSD to SSA Local 21. The district’s Middle School Textbook Adoption Committee led by Ms. Nealy Johnson presented their recommendation to adopt McGraw Hill’s StudySync English Language Arts program for the 2017-18 school year. The Middle School Textbook adoption committee consisted of two principals, ten WCCUSD field test teachers, two program assistants and one instructional specialist. The StudySync program guides students to develop their readiness for college, career, and civic life. The curriculum focuses broadly on student literacy and the acquisition of skills for living and learning in the 21st century. The StudySync program blends technology and helps teachers provide universal access to learners of all types. Ms. Nealy Johnson brought along two English Language Arts field test teachers and one principal to share their sentiments on the StudySync English Language Arts program. StudySync is a Blended Learning program. Blended Learning combines online digital media with traditional classroom methods. It requires the physical presence of both teacher and student, with some element of student control over time, place, path, or pace. Board Member Mister Phillips inquired whether there are “any points of concern regarding the StudySync curriculum?” The committee explained that most school sites were concerned with the technology required, as well as the necessity for teacher professional development (PD) around technology curriculum integration. They did however admit that those concerns are points of focus moving forward, particularly in regards to PD. The Committee representatives confirmed their interest in differentiating district PD’s; tailoring them around each teacher’s familiarity with technology classroom use. The Board unanimously approved the McGraw Hill’s StudySync English Language Arts program for the 2017-18 school year. 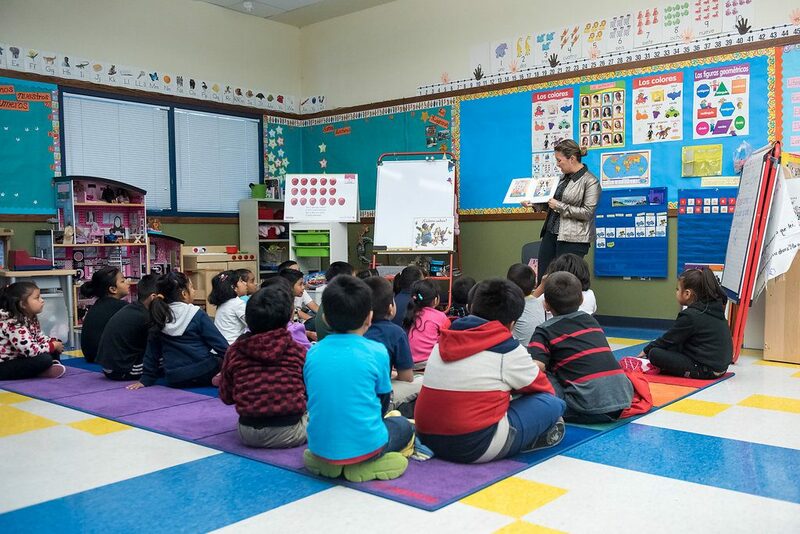 The funds for the textbook will come from WCCUSD’s General Fund for Textbook Materials in the amount of approximately $1.1 million. Click here to see a Program Overview of StudySync.